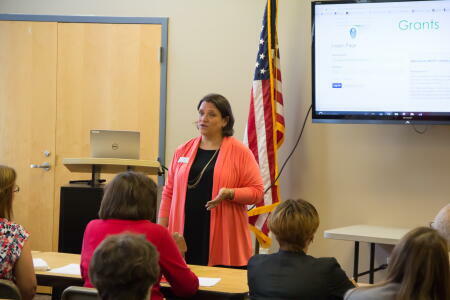 The Granville County Community Foundation recently hosted a grantseekers workshop with local nonprofits at the Oxford library. 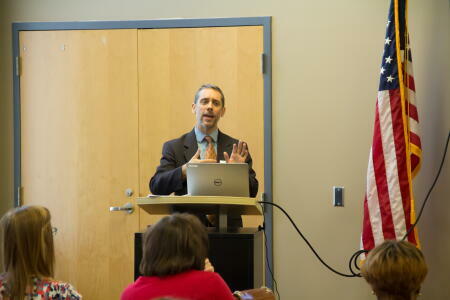 GCCF Grants Chair Dave Williams(pictured below) welcomed representatives from more than 20 local nonprofit organizations and spoke about the impact of community grantmaking. 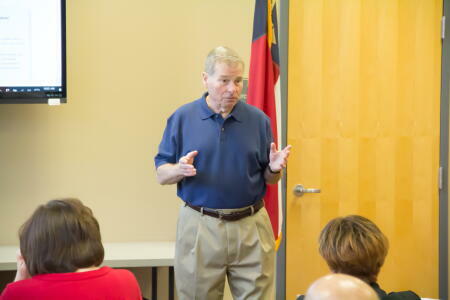 NCCF Regional Director Quinn Novels (pictured below) introduced the local affiliate foundation and the relationship with NCCF. 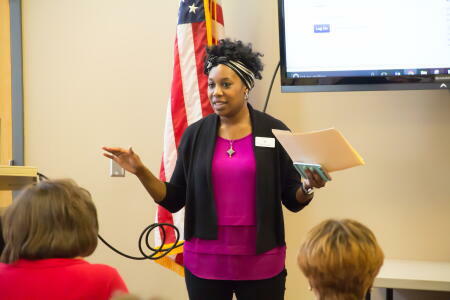 NCCF Director of Grants & Scholarships Leslie Ann Jackson (pictured below) presented on the community grantmaking process and best practices for grant applications. 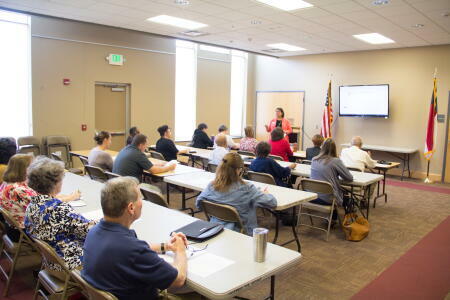 NCCF Grants Program Manager Christopher Fipps (pictured below) presented the online grants portal system and demonstrated the grant application process.